Electrical panels provide electricity to your whole home. As you upgrade the appliances, you sometimes need to also upgrade the electrical service panels to adequately supply them with power. Old breaker boxes can cause flickering lights, blown fuses and more. Hire an electrician to upgrade your circuit breaker panel, especially if you’re adding new living space or if your home is old and the electricity is acting up. The job is extremely complicated and should never be attempted by an amateur. An electrician can install additional outlets in your home or convert any of the ones you have to GFCIs (ground fault circuit interrupter). Often, electrical code requires that at least one outlet in your bathroom and kitchen is a GFCI outlet, which are designed to shut off power if water comes in contact with the electricity or the load of electricity becomes unbalanced, preventing a shock. However, many older homes do not have this feature. It’s also important that outdoor outlets are GFCI equipped. Call an electrician to install a GFCI plug. Improper grounding can result in fire or loss of power. Additionally, if you need extra outlets, your electrician can install those for you. Adding outlets requires cutting into the wall and replacing part of the wiring. Never attempt to do this on your own. If you need more charging space for your family’s electronics, consider converting an existing outlet to one with built-in USB ports. 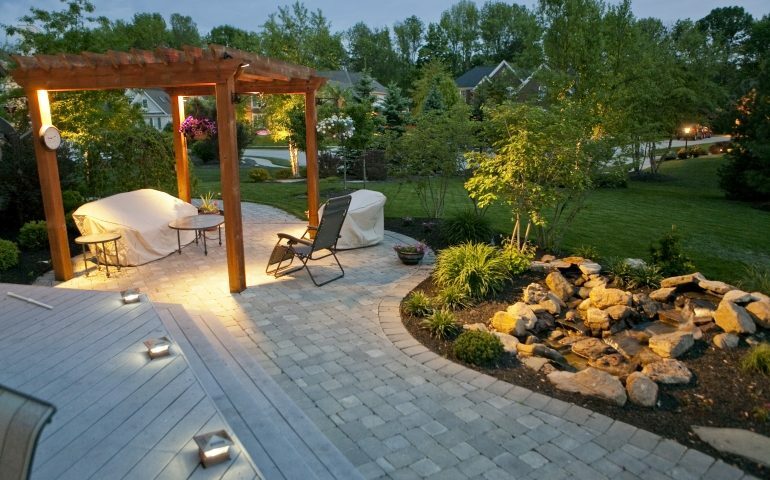 If you want to install ambient or security lighting in the outdoors, you should call in an electrician. An electrical contractor can help you thread wiring to the outside if there was none before. He or she will ensure that the wiring is properly grounded for the outdoors. In addition, an electrician can help you choose lighting that’s rated for the outdoors so it will withstand the elements. Generally speaking, a homeowner can replace light fixtures. However, there are a few instances where you should bring in professional help. First, check the amperage of the circuit and the wattage of the new fixture. If the amperage isn’t high enough to cover the wattage of your new light, you will need an additional wire run from your circuit breaker. It’s best to hire a licensed and qualified electrician for such a task. A couple of other considerations before you dig into this lighting project: Many older homes don’t have high-temperature insulation, which is required by many ceiling lights and fans. In addition, the ceiling mounting needs to be strong enough to support the fixture. An electrician can help you with any of these concerns, which you might not be able to tackle on your own. Installing light switches and outlet covers requires little knowledge of electrical work. Replacing outlet covers simply takes a screwdriver — just make sure you turn the power off to that part of the house before you get started. DIY homeowners can also install switches with a little know-how. There are plenty of tutorials and how-tos online. Again, it’s important to turn off the power beforehand to avoid an electric shock. If you don’t feel comfortable replacing a switch yourself, call in an electrician. It’s better to spend the money and get the job right and safely. When it comes to electrical work, you don’t want to mess around. An amateur job can have disastrous consequences. When in doubt, leave it to the pros.